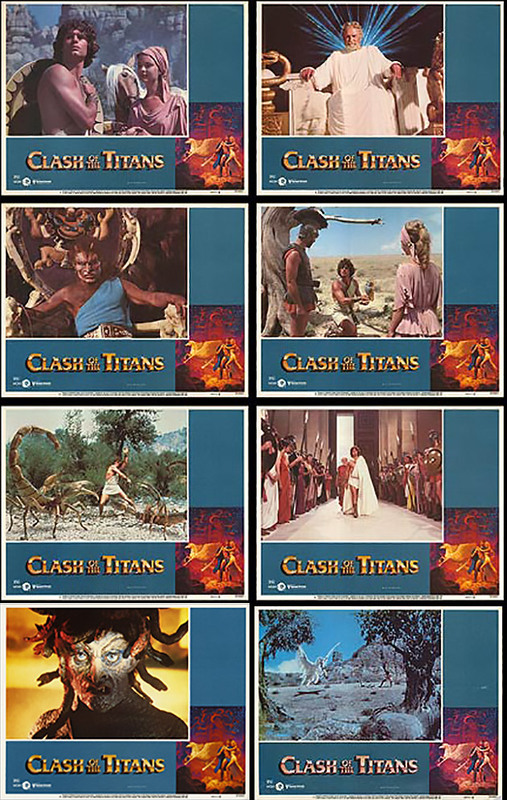 US lobby cards set for CLASH OF THE TITANS. This covers everything so it's pretty good. It's missing big stars though like Maggie Smith and Ursulla Andress, etc. Still it's good.